TweakNow SecureDelete support two of the most common used algorithms: Gutmann and DOD 5220.22M. 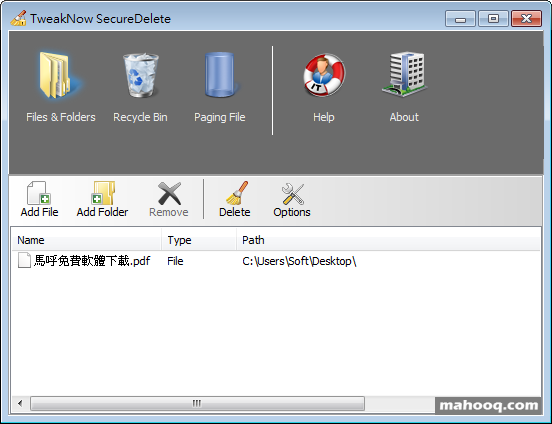 As addition the program also support overwriting deleted files using series of random character multiple times. This method might be less secure, but faster than the other two methods and still safer than standard Windows delete method.